I still can’t believe how fast time flies. It is the first week of a new month and just last Thursday I wrote my End of the Month Quick Recap… Again. Anyways, how are you?! How are things going in terms of your finances? Me?! Well I’ve been such a gastador for this month and I am really not proud of my financial decisions. You can actually read a post in Izzaglino called My Life This Month in Pictures that will reveal how much spending I did for April. Take five minutes to use an online tool that will show you if you’re on track or follow My Financial Net Worth Template. I’d love to send you my template just email me at izzaglinofull@gmail.com. I actually created a test on financial fitness and if you have time I hope you’ll answer. The results are at the end of the quiz. 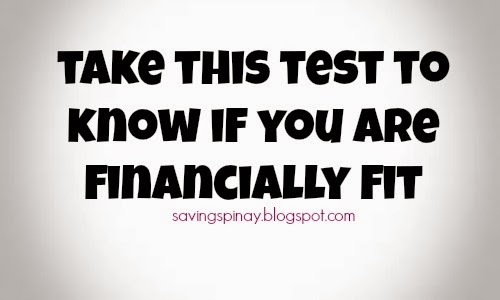 Share this too to your friends and loved ones so they have an idea on how fit they are financially. 10 Things You Can Do in Your 20’s that will Change your Financial Life Completely! – New!